Tall, blond, and extremely handsome, Tango the Labrador is more than just a pretty face. He was Canadian born, a descendant of an ancient line of British champions. Tango was not content to simply follow in his father's regal paw prints. His extraordinary love for humans, evident from early puppyhood, inspired him to pursue an education in dog therapy. He now dedicates his life to delighting the human heart. 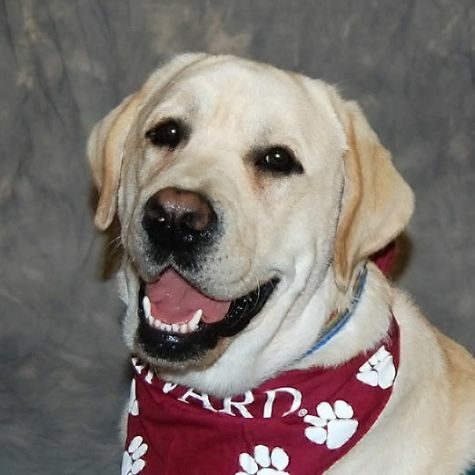 As a trained therapy dog, Tango specializes in kisses, paw shakes, and nurturing joy.